2) Life is unpredictable. We are given no map at birth, and yet we wade through the adventure together, learning different things along the way while collecting experiences. 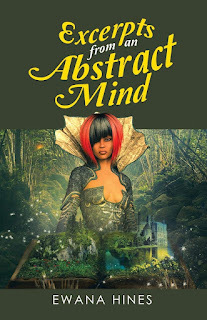 Excerpts from an Abstract mind is a closer examination of the journey through life utilizing poetry. This book leaves no stone unturned. It is creative, it is passionate it is poetry written for this day and time.